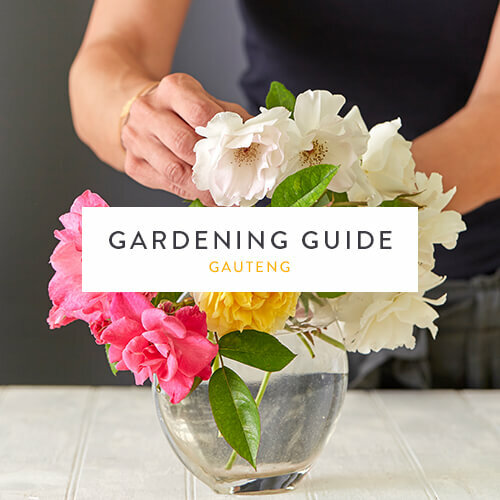 Gardening in February in Gauteng involves caring for your lawn, giving your roses a good feed, and growing some of the best late summer produce. Succulents are the perfect plants for both novice gardeners and gardening aficionados. They require very little water, which makes them a great choice for both indoor and outdoor spaces, especially during times of restricted water usage. While there are many different types of succulent plants, some species are easier to care for and more versatile than others. Our favourite easy-maintenance varieties include the echeveria, jade plant (Crassula ovata), pig’s ears (Cotyledon orbiculata), aloe and sedum (or stonecrop). Succulents also make wonderful gifts. With Valentine’s Day looming, what better way to treat your favourite person than with an everlasting gift that grows? Plant fresh crops of carrots, parsley, rocket, beans, cabbage, leeks, Swiss chard and turnip to harvest in late summer. Feed your herbs and vegetables with Atlantic Bio Ganic to maintain strong, healthy crops. Continue feeding roses monthly until April. Use a chemical fertiliser such as Wonder Lawn & Leaf 7:1:3 or the organic Atlantic Bio Ganic Lawns if watering your lawn three or more times a week. Wonder All Purpose 3:2:1, a chemical fertiliser, and Atlantic Bio Ganic Lawns can be used if you water your lawn less than three times a week. Pro tip: Mow your lawn regularly, cutting at medium-to-high height to help the lawn cope with soaring late-summer temperatures. Spray roses with Efekto Rosecare to protect it from diseases and pests. Now’s the time to prepare your bed for sowing sweet peas so you can look forward to filling your home with these fragrant blooms come autumn. Read our guide to growing your own sweet peas and keep your eyes open for the seeds, coming to Stodels soon. Skip the classic bouquet of roses this Valentine’s Day and go the extra mile by giving a personalised gift – it will live much longer than flowers! The flowering Kalanchoe plant in a white heart pot – the perfect colours for the celebration of love. If your significant other isn’t a fan of red blooms, you really can’t go wrong with this rose in a charming pot. Melt your partner’s heart with a stylish small pyramid terrarium. Bring a fresh touch of romance and a dash of elegance into your loved one’s home with the Bromeliad Fasciata in white pot.